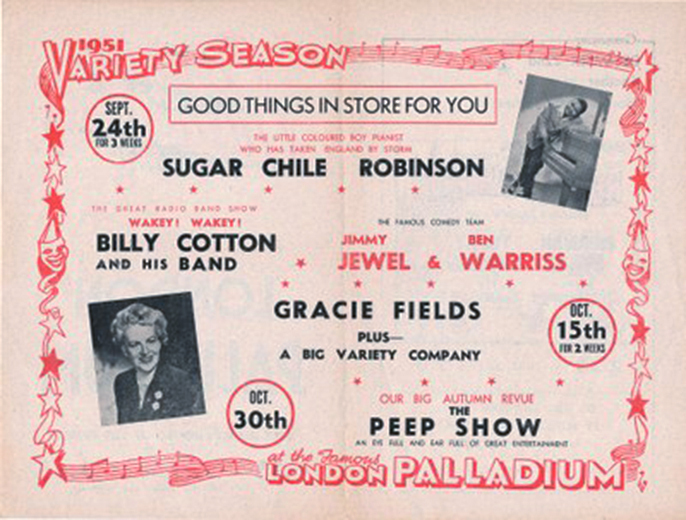 On Thursday, June 18, 2009 the curtain came up on the Living Archive Exhibition at the London Palladium celebrating the black contribution and “missing link” in the album of Britain’s entertainment history, Chloe Thomas reports. An illustrious array of guests crowded into the Cinderella bar including Simon Callow, Steve Clark of the famous tap-dancing duo the Clark brothers as well as a vibrant crowd of performers and theatre enthusiasts alike. The event was the brainchild of Leon Robinson founder of the arts and multimedia company Positive Steps who launched the exhibition in collaboration with the Really Useful group and Stage Entertainment. It revealed a satisfying collection of photographs, theatre programmes, posters and films celebrating the history of black involvement in the performing arts which up until now has been dwindling in the shadows. 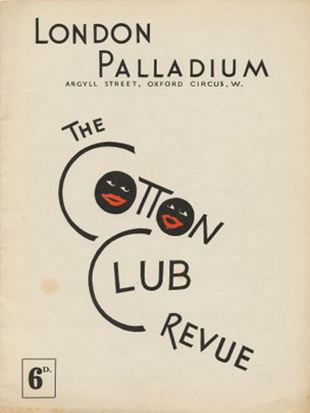 The exhibition cast the spotlight over 100 years of black performance specific to the London Palladium with fascinating characters like Adelaide hall who made her debut there in 1931 to the crowd pleasing Clark brothers- decade rolling Palladium regulars, through to the current reigning Queen supreme Patina Miller star of “Sister Act” who unfortunately was unable to attend. The collection which will remain exhibited in the foyer throughout the run of Sister Act reminds us of Ira Aldridge the acclaimed black Victorian Shakespearean actor who performed at the Royal Opera house and the Drury lane theatre. While also paying tribute to the black music hall entertainers of the Edwardian era such as Florence Mill who was otherwise known as the Queen of happiness and starred at the London Pavilion better known now as the Trocadero. Simon Callow gave a consummate speech praising Leon Robinson’s commitment to realising his dream of unearthing the glittering collection. He said it is important for today’s black youth who have performance aspirations to be aware of their rich cultural heritage in the arts. Speaking at the event Mr Robinson quipped that he is eternally grateful to the Victorian who were “great hoarders and thanks to them we have a theatrical history we can today be proud of”. 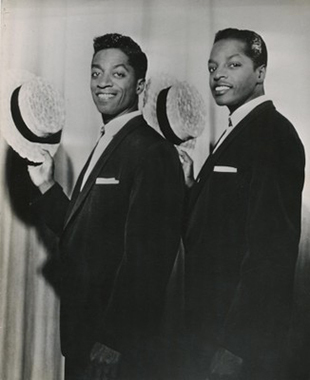 One of the highlights of the event was when Steve Clark of the Clark brothers addressed the guests, a remarkably spritely 85 year old he recounted his golden career working with the likes of Frank Sinatra, Duke Ellington and Ella Fitzgerald. A living legend he has tap-danced his way through segregation, the civil rights and the black power movement and in this way he is an inspiration for the young. He has no chip on his shoulder but a spring in his step which has kept him moving forward in the march for artistic and cultural equality. Internationally acclaimed Victorian Black Shakespearian actor Ira Aldridge who performed at the Theatre Royal, Drury Lane and the Royal Opera House Covent Garden. The exhibition also throws a spotlight on 100 years of black performers at the Palladium, bringing Adelaide Hall home to the theatre where the Harlem Renaissance star made her London debut in 1931 and brings us up to date with the newly crowned Queen of the Palladium and star of Sister Act, Patina Miller. Leon Robinson's, The Living Archive Exhibition is on display at The London Palladium during the run of Sister Act. The public are welcome to just pop in and it's free.